Ilya is the Head of the Google Assistant Investments program. 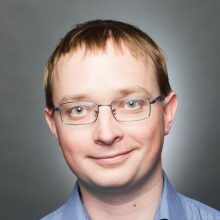 Ilya previously co-founded Dialogflow (formerly known as API.AI), a developer platform for building conversational experiences, and served as its CEO before Google acquired the company in September 2016. Prior to launching API.AI, the company built Assistant.ai, the highest rated independent voice assistant in the world with 40M+ users.